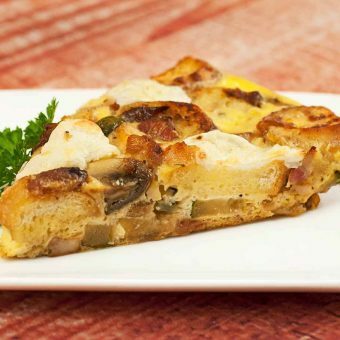 Browse our collection of recipes featuring eggs as a main ingredient including traditional breakfasts to frittatas and quiches, soups and salads, desserts and more. 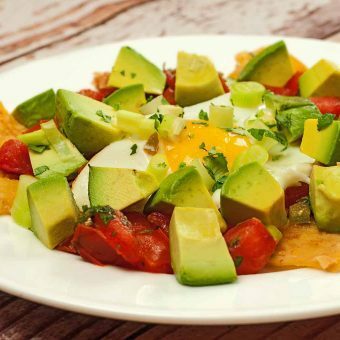 This fresh, flavorful version of the traditional Mexican dish is made with corn tortillas, fresh tomato salsa, sunny side up eggs and Hass avocados makes a great breakfast or light dinner. 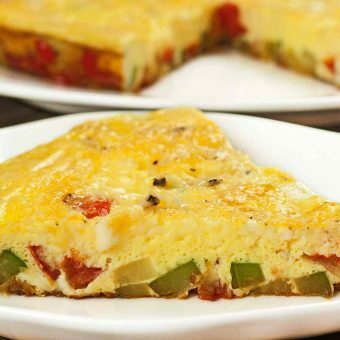 This easy-to-make, meatless frittata combines eggs with zucchini, red bell pepper, tomato and onion to make an easy meal that’s suitable for brunch, lunch or a light supper. 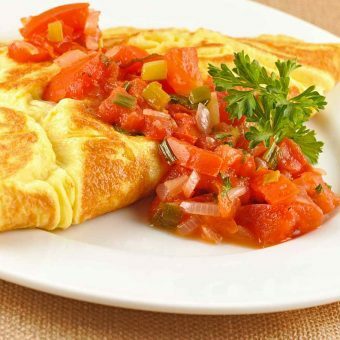 Chopped tomatoes and scallions cooked in butter makes a delicious topping for these cottage cheese and parsley filled omelets. Similar to a frittata, this quick, savory egg dish is made with pancetta, sautéed mushrooms and zucchini, ricotta and mozzarella cheese. 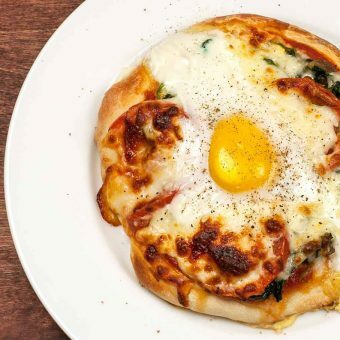 Individual-size pizzas topped with sautéed spinach, cheese and an egg make a quick, easy meal when you start with store-bought pizza dough. 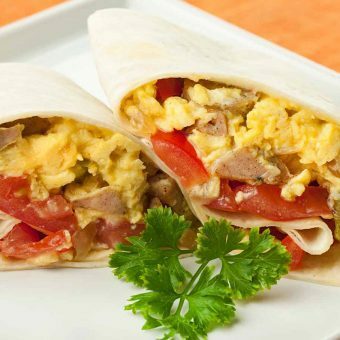 An easy dish of flour tortillas filled with a mixture of creamy scrambled eggs, shredded cheese, onion, red and green bell pepper and sautéed breakfast sausage. 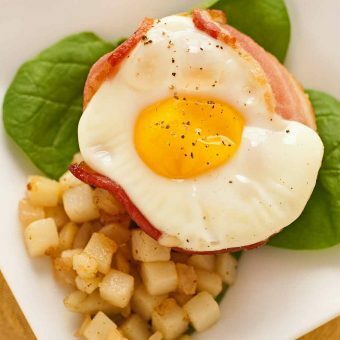 These individual breakfast cups are fashioned from a strip of bacon, then filled with toasted English muffin cubes and Jarlsberg cheese and topped with an egg. 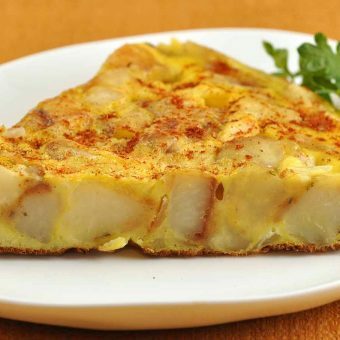 A Spanish tortilla (Tortilla Española) is an egg and potato mixture similar to an omelette. Serve with a tossed salad for a great meatless meal.